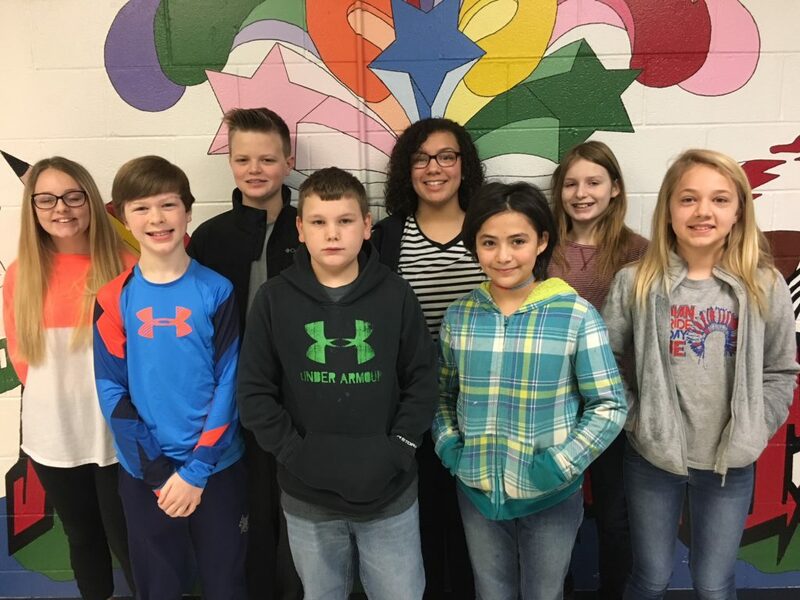 Sixth Grade Students of the Month at Adair County Middle School are from left: Kiana McHolan-Science, Carter White-Reading, Brody Blair-Social Studies, Taylor Stayton-Social Studies, Liz Curry-Math, Danielle Corona-Math, Bella Tarter-Science and Mariah Grant-Reading. These students are good citizens and focus on their academics! Congratulations!